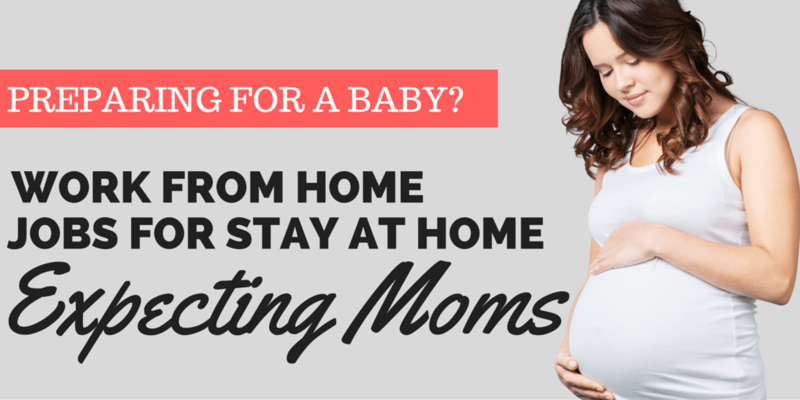 Being a pregnant stay at home mom and working from home can be a tough challenge. However, it is good to keep the mind and body busy during this time. We as moms all know how hard it is to work from home with a lot of background noise. That's why it is much easier to begin your search before your new baby arrives. There are many work from home jobs that offer great pay with the flexibility to work when you want. However, you shouldn't take on a job that’s too stressful and demanding. 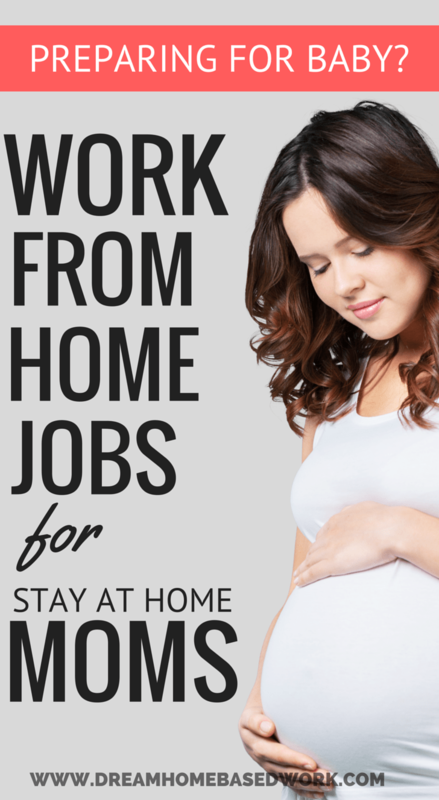 In today's post, I have gathered a variety of work from home jobs you can do while pregnant. 1. Start a Blog. I am a clear witness of this. Myself as well a few people I know who are stay at home moms have blogs. You can start a blog and share ideas on financial budgeting, fashion tips, favorite recipes and more. If you are new to blogging, I recommend reading my article on how to start a blog in 6 steps. For those who have a blog setup and are trying to find extra ways to make money, check out the top 5 ways bloggers make money working from home. 2. Transcription. If you have fast and accurate typing skills, transcription may be a great option for you. There are several companies that will hire you with little to no experience at all. All is needed is an updated computer with high-speed internet and a good quality headset. Companies like Transcription Hub and Transcribe Me are always looking for entry level transcribers. In addition, you can also learn the how to start your own transcription career from home. 3. Writing. While writing is not for everyone, there are a variety of ways you make money with the necessary skills. If you do have the talent to write, there are sites like Textbroker that will allow you to work from home whenever you want. In addition, you can find writing tasks on sites like Elance and Odesk. If those don't interest you, I recommend looking at this monster list of 100+ Work From Home Writing Jobs. 4. Start a Freelance Business. Perhaps you have amazing home decorating skills, great photography skills, or an expert at decorating cakes. You can work for yourself and market yourself as a freelancer. Get business cards or flyers and pass them out in your neighborhood. This is a great way to build up clients by word-of-mouth networking. Starting a freelance business can be very lucrative in the long run. It just takes time and patience. 5. Web Search Evaluation. If you are great at browsing the internet you can work from home as a web search evaluator. This is a non-phone job that allows you to make your own schedule. Legitimate companies like Leapforce, Appen Butler Hill, and Lionbridge are almost always hiring. If you are looking for a pretty decent income, then you should check out web search evaluation. 6. Become a Virtual Assistant. This is a career that is in high demand. If you have remarkable clerical and computer skills, you will qualify for this type of work. Companies like Zirtual and EaHelp regularly hires virtual assistants to work from home. 7. Tutor Students Online. Tutoring is a great way for pregnant stay at home moms to earn extra income. You can utilize your skills and tutor students at your house or completely online. For online tutoring, you will need a computer with high-speed internet and a good quality webcam. Sites like Tutor.com and Brainfuse are great sites to check out. 8. Sell Homemade Items. If you enjoy creating handmade items. making jewelry, or any other creative projects, you can start making money on sites like Etsy and Shopify. This will require you to have start-up materials, postage and packaging items, and your creative mind. I have been blown away by the number of women that are working from home selling their handmade items online. If you market yourself well, you can be on your way to a very successful career.